It is very funny and optical illusion 3d street art of magic carpet ride. Boy and girl ride on the magic carpet over the marvelous architectural building. Street artist with his wisdom surrounds the building with air-like atmosphere and ground of building artist shows number of people that move randomly. 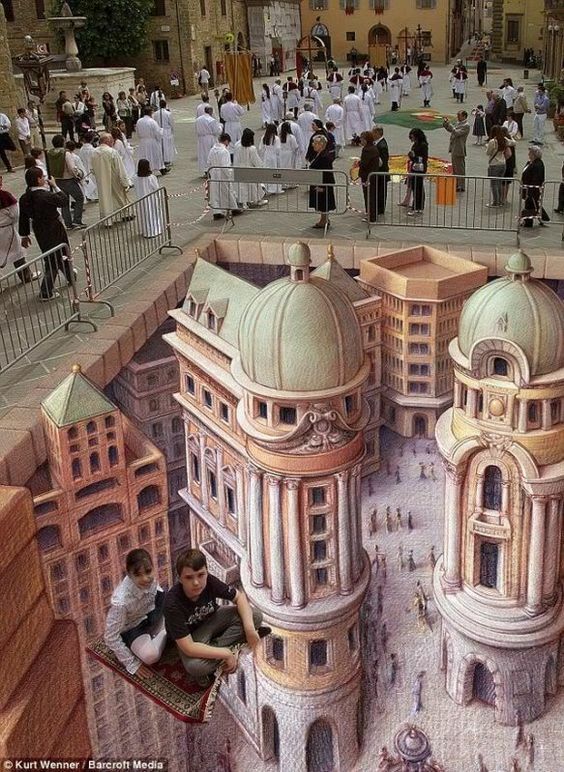 Due to marvelous painting of artist, carpet placed at the top of street look like a magic carpet that rides in the air.